You may know Justin DeLay from our The Synth Sounds of Stranger Things or The Synth Sounds of Blade Runner videos—or perhaps you've seen him explain the basics of making and recording synthesized music in Intro to Synthesis and The Easiest Way to Record Your Synthesizer. That is to say, you've likely seen him enough to know he knows synths. But trust us, you don't even the know the half of it. There's an ever-growing collection of electronic tools and toys strewn across his desk, and it tends to spread out onto any available space around him. Just as soon as he takes one keyboard back to his studio, a new one appears. Curious visitors to the office marvel at his modular array. And his podmates, having overheard DeLay's enthusiasm day after day, can just about explain the setup in his absence. Number five on his list is a diminutive instrument that was one the of the biggest releases of the year. The Teenage Engineering OP-Z, is the latest a pocket-sized synth, controller, and sampler from the makers of the OP-1 and the Pocket Operator line of synths and drum machines. For his number four pick, Justin can't help but choose two different Eurorack modules that "really pushed the format forward in 2018." 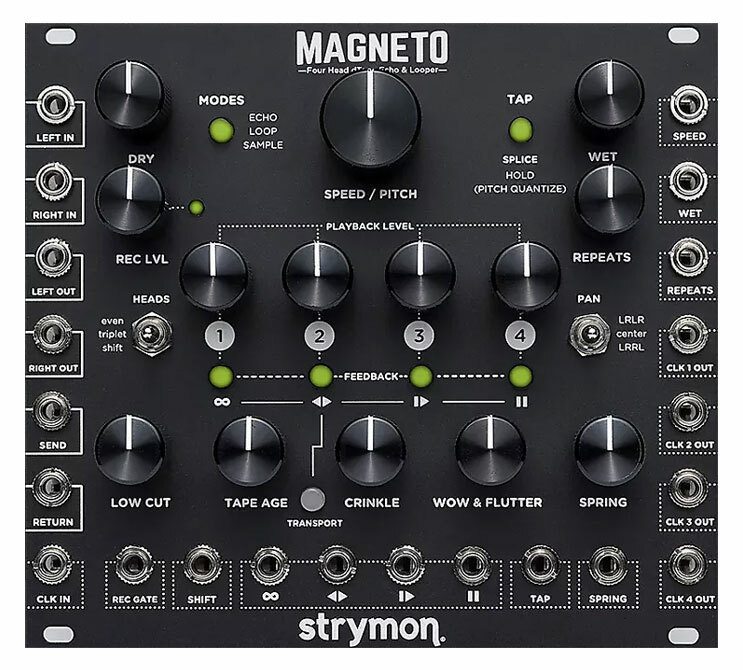 First is the Strymon Magneto—a digital tape delay unit from a company renowned for its guitar effects pedals—while the second is the Make Noise René 2, an update to an already brilliant Eurorack sequencer. 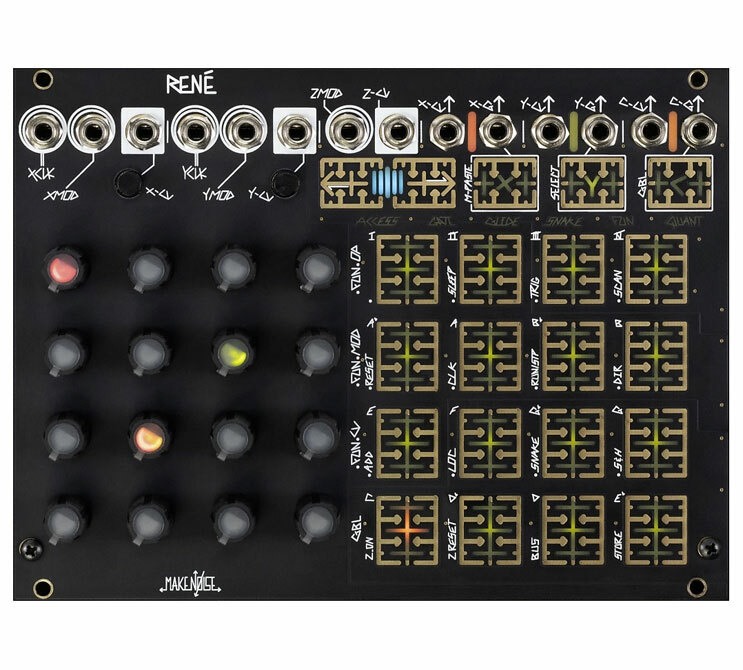 "That is a beast of a synthesizer—all of the features you're looking for in a poly—and I'm really excited to see what they do with the user-generated oscillator feature," Justin says. "I think there's going to be a tremendous amount of innovation from the community, and that synth is only going to continue to grow in value and usefulness as more and more folks embrace that format." 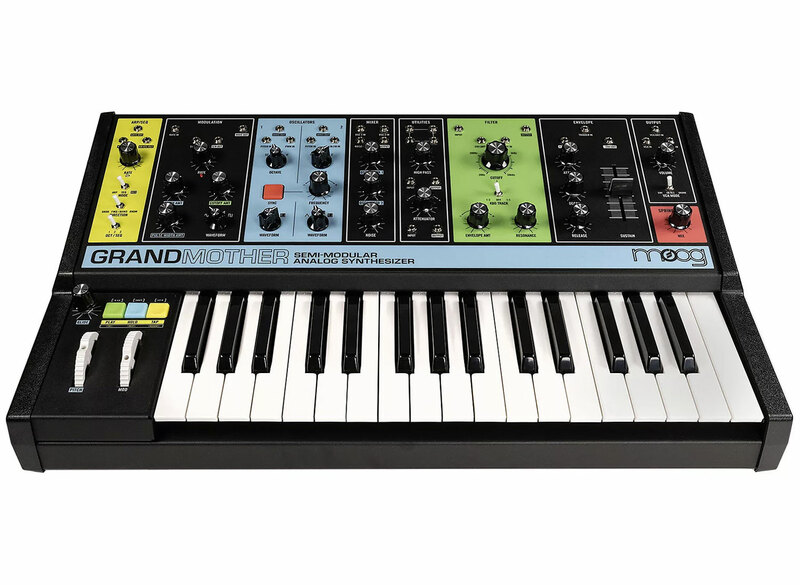 Number two is the Moog Grandmother—Justin's "monosynth pick of the year." It features the classic Moog sound, a spring reverb, an intuitive sequencer, and a versatile patch bay to connect with modular systems. 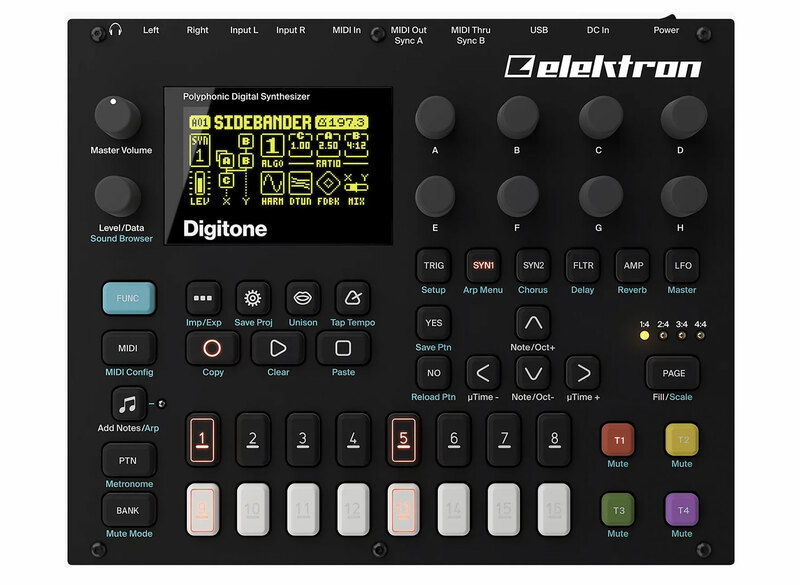 The number one synthesizer of 2018, according to Justin, is the Elektron Digitone. The portable unit brings the wide world of FM synthesis sounds to your fingertips, combined with the Elektron interface, that gives you lot of control over your sounds and sequencing.